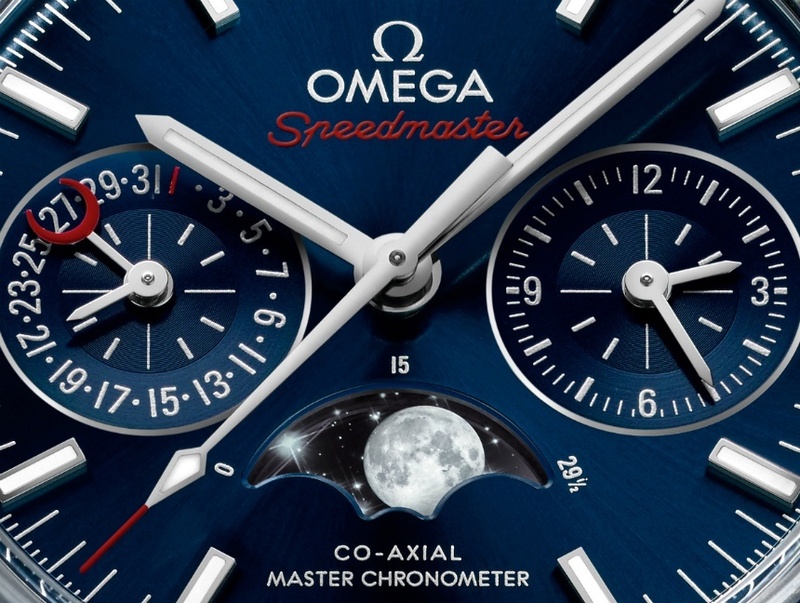 The new 44 mm diameter stainless-steel Speedmaster Moonphase sports a deep blue dial with a moon-phase indicator at 6 o’clock position, and is set with 12-hour register and date sub-dials at 3 and 9 o'clock positions. 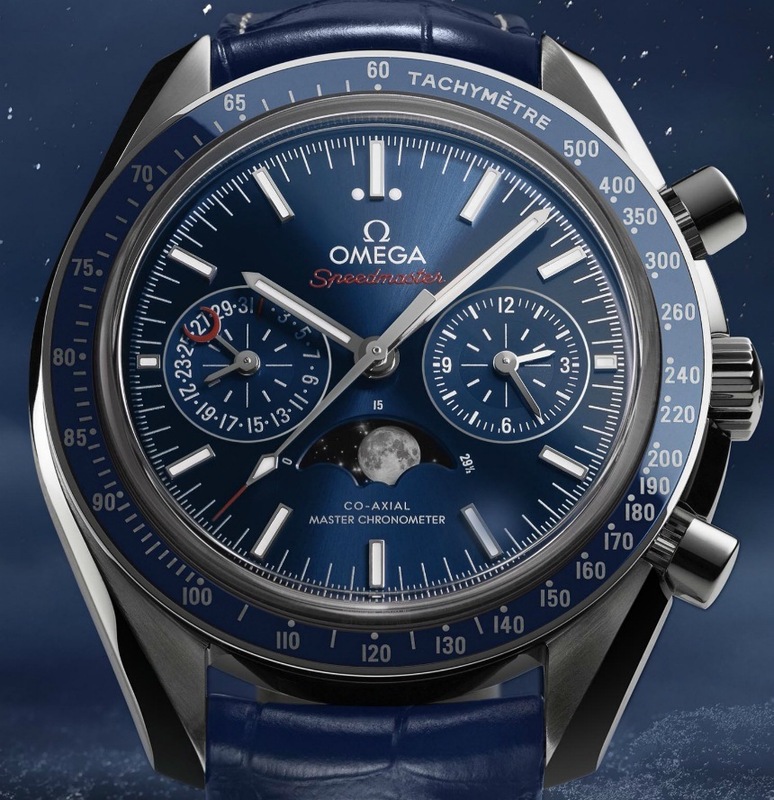 This latest member of the Speedmaster Collection comes with a brand new in-house movement, the caliber 9904, which is more like a upgraded version of the earlier 9300 calibers. 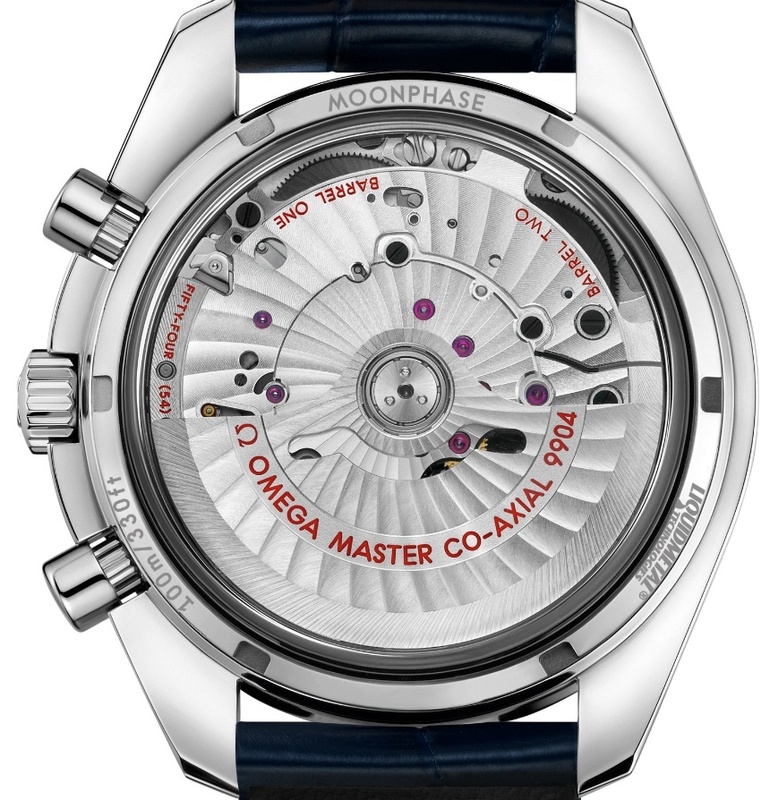 The new model bears the Master Co-Axial and Chronometer specs at the sametime making it a certified Master Chronometer. Let us remind you that the watch is also METAS-certified (the Swiss Federal Institute of Metrology), which is a more detailed and strict certification than the Standard COSC. 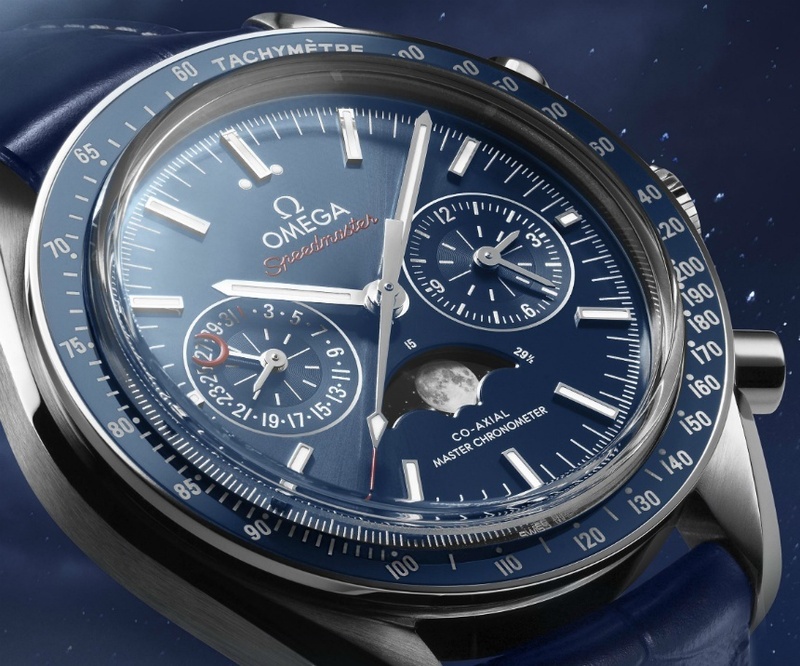 The Omega Speedmaster Moonphase Master Chronometer Chronograph is a nice addition to the current Speedmaster Collection. We are looking forward to see the beautiful bleu dial hopefully at Baselworld 2016.